View cart “Shower Gel” has been added to your cart. Wild organic Fucus Serratus Seaweed is hand harvested and air dried off the West Coast of Ireland. Mineral and vitamin rich Seaweed soak, helps relax, detox and re-energise. Seaweed Baths have been used for generations for health and healing the skin and body. Immerse yourself in this relaxing, mineral rich seaweed soak, and just feel the tension disappear. 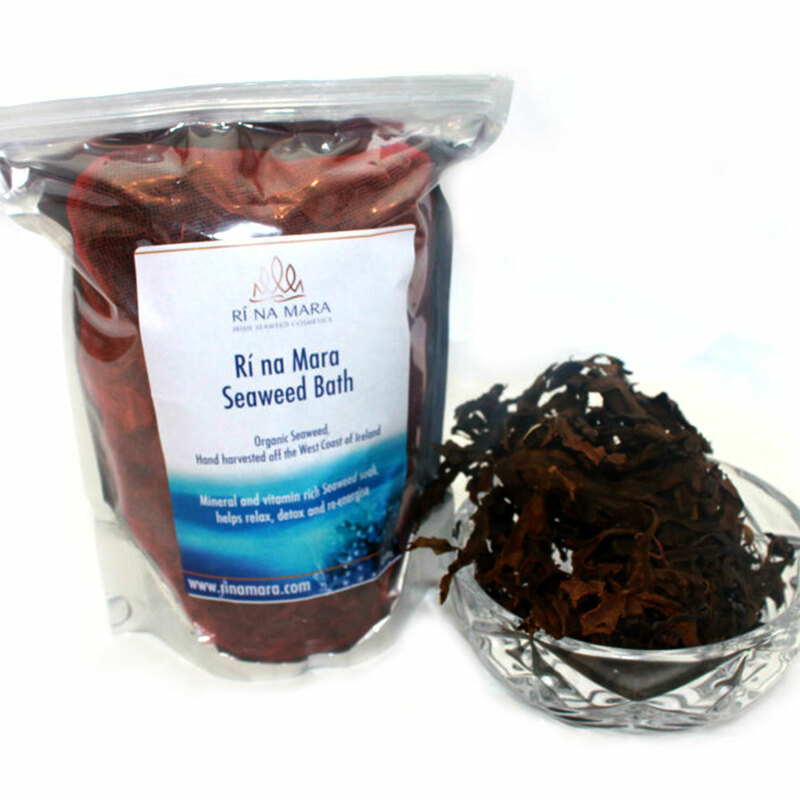 With Rí na Mara Seaweed bath you can create a luxurious spa experience in your own home. 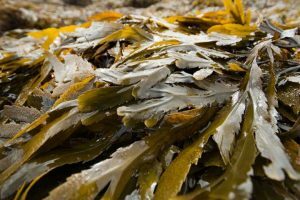 Fucus Serratus or serrated wrack, has been used in Seaweed baths for hundreds of years, the mineral, nutrient and vitamin rich, therapeutic oils help the body relax, unwind, detox and remineralise. The antioxidant compounds produce anti-ageing, conditioning and moisturising effects on the skin, hair and face. Directions for use: Tie the pull string around the hot tap whilst running the bath, allowing the water to run through the seaweed which naturally rehydrates releasing its soothing, moisturising minerals and alginate properties. When sufficient water is in the bath, release the pull string and submerge the seaweed, it can be left in the bag if preferred. Immerse yourself in this relaxing soak and feel the tension disappear. Take care entering and leaving the bath as the gel may be slippery. Seaweed can be dried and re-used within 3 days. After use please recycle, seaweed makes an excellent garden fertiliser.